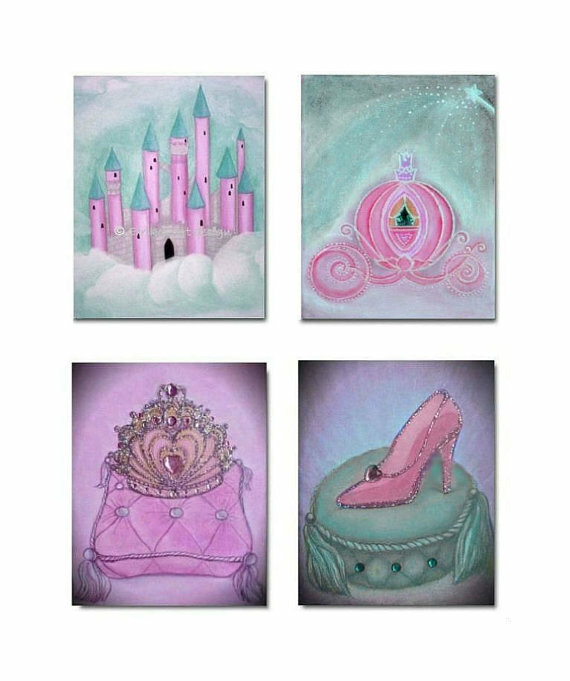 Any girl is a Princess and as a real Princess she needs fairy and magical bedroom with a castle, crown, carriage and ofcourse the magic glass shoe! This beautiful princess room in pink ana blue teal colors, is a dreamy bedroom for your little Princess! You can see here one of my favorite collection of items for a perfect Princess bedroom!